Just in case you've never heard of a Pandowdy, its alot like a pie without the bottom crust. And trust me, You'll be so busy eating you won't miss it. I like to make mine with Peaches and Blueberries. Love that combination. Sadly, I had no blueberries this time, but it was still delicious. Start by pealing, pitting, and slicing about 8 cups of peaches. Don't measure, just enough to fill your pie dish. Add a couple tablespoons of flour and sugar (more sugar if you like it sweeter) and sprinkle with cinnamon, nutmeg, ginger, or whatever other fall spice you like. Toss it together a bit to coat the peaches. Prepare your crust and put it on top. Crimping the edges to be pretty of course. Bake in a 375 degree oven for about 45 minutes. Take a spoon and push some of the crust down into the filling. (I know you just spent all that time making the cust pretty, but this step is part of what makes a pandowdy). Then bake 15-20 minutes more. I forgot to push my curst down until it was pretty much done baking this time, so it didn't work quite as well. So push more of the crust down than is show in this picture. Let it cool on a wire rack for about an hour- if you can, and enjoy! I think it's best with ice cream of coures. Preheat oven to 350 degrees. Toast pecans/almonds on a cookie sheet for about 10 minutes. They should be a little golden and smell really good. Let them cool and then coarsely grind in a food processor. Add flour sugar and salt and process til combined. Add butter. Precess till it resembles coarse meal, about 10 seconds.Gradually add ice water while processing just until dough comes together. Shape dough into a disc, wrap in plastic wrap and refrigerate 1 hour or up to a day before using. *If you don't have a food processor, just finely chop the nuts, and instead of chopping the butter use a cheese grater and grate the cold butter into the flour mix. Use a fork to mix. YUM!! Can't wait to try this, it's perfect for Fall! I'm visiting from the NJAH linky party, I hope you'll pop by and say hello! the flavor of peach is so awesome, I love it. This is great, thx for sharing. Oh wow this looks so amazing, I love that the crust is an almond crust I bet the flavor is amazing. I can't wait to try this. I shared it on my facebook wall too. Thanks for sharing this on It's a Keeper Thursday, I am co-hosting this week and would love for you to stop by. 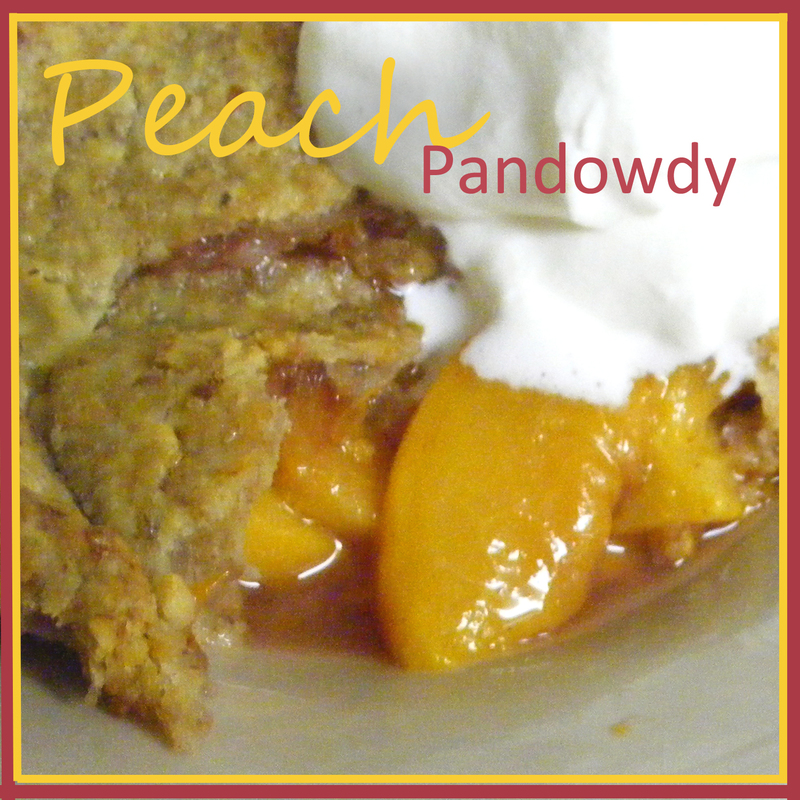 Your Peach Pandowdy looks absolutely delicious! Thank you so much for sharing your great recipe with Full Plate Thursday. Hope you are having a great week end and come back soon!